Where do your employees give? In a previous post, we discussed five useful metrics that aide corporate social responsibility and community affairs teams evaluate and measure the success of their workplace giving programs. One of the metrics we highlighted was the destination of employee designations. Put simply, what causes and charitable organizations did employee donors and volunteers choose to support? Our contention remains that for companies with a goal of supporting the environment, a workplace philanthropic campaign where employees echo those core values in their giving and volunteering efforts is a reflection of an impactful program. One standard for that is to gauge the destination of your employee donations and volunteering against the average across a significant sample. A 2013 study by America’s Charities estimated the total value of US employee giving at $3 billion. In 2014. FrontStream will distribute well over $300 million, a number that constitutes a full 10 percent of that figure. Utilizing this mass of data on corporate and employee giving across industries is one of the ways we seek to add value for nonprofits, donors, and our corporate clients. Our CSR & NPO Services team makes sure that all community and cause support gets to the right place, and is compliant with legal regulations governing charitable contributions in the US and abroad, as well as the guidelines of our clients. Through this team, and utilizing the wider institutional expertise we can bring to bear, we provide benchmarking that allows for the kind of perspective useful in evaluating your performance. In order to judge whether employee donors or volunteers are reflecting your company’s core values, compare yourself to the wider world of workplace philanthropy. And what was the shape of that world in 2013? Check it out! 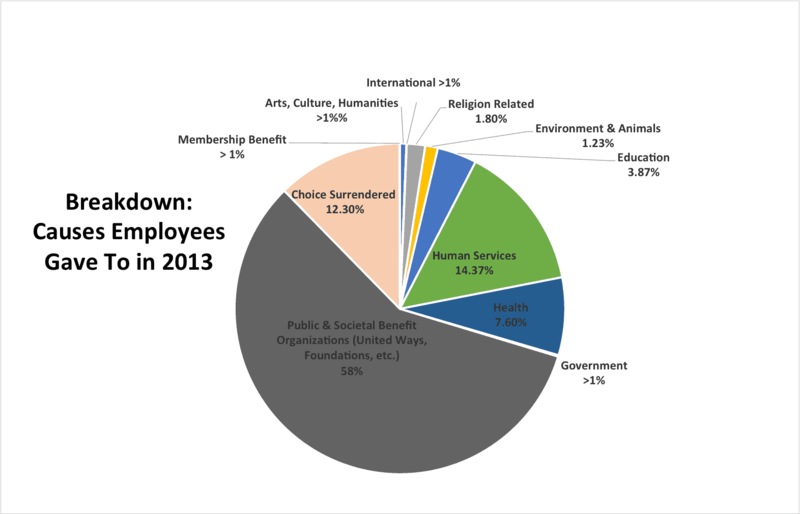 Across our client data, we identified the top twenty nonprofits that employees selected to donate to in 2013. The number of employee gifts rather than the total value of gifts determined these favored organizations. 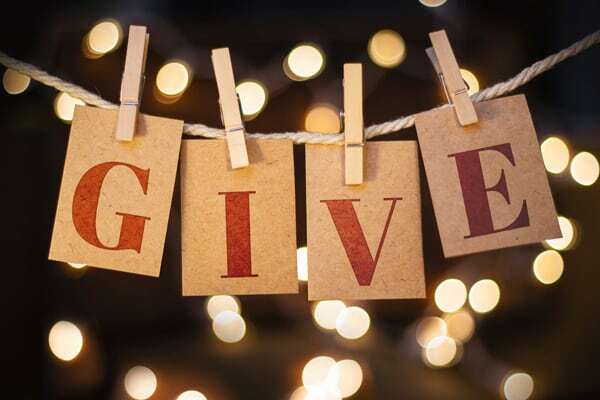 Taking a step back to understand overall employee giving trends, we examine the 1.3 million employee gifts we processed in 2013 by charity type. Charity types follow IRS NTEE codes with the exception of “Choice Surrendered” and “Government”. The former are employees who donated to a cause identified by their employer, a local United Way, or other agency. The latter are 170(c) organizations – government institutions (excluding schools) eligible for tax-deductible contributions. With effective internal communications and employee engagement, the causes your company pledges to support can be realized. By benchmarking employee-giving figures to industry averages, you’ll begin to see whether your corporate giving program is truly walking the talk or not. Author: Brandolon Barnett is an Operations Coordinator at FrontStream, focused on corporate social responsibility and nonprofit services. Brandolon has an MA in International Studies from the University of London SOAS. His work aids clients in corporate responsibility departments understand their giving program metrics and identify nonprofit partners.